6 Volt 200 Ah SLA Battery Threaded Insert Terminals and Group 27 Footprint. 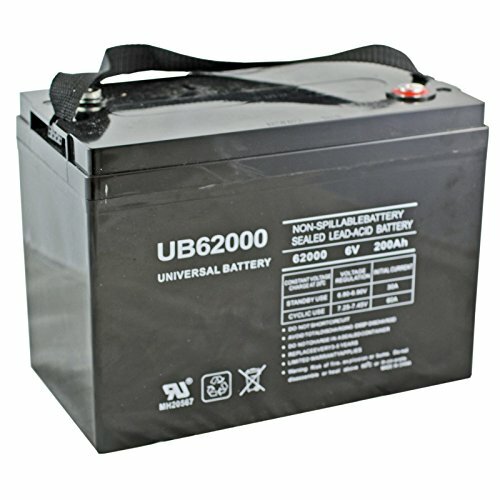 Four Batteries are needed in series for a 24 Volt Application. 4 Reasons Why You'll Love Our AGM Sealed Lead Acid Batteries: *Sealed, Maintenance Free: Completely spill-proof and can be installed in any position. *Fully Charged and Ready to Go: Right out of the box, this battery is ready for anything. *100% Brand New and Factory Fresh: We receive new shipments daily, ensuring each of our SLA batteries are as fresh as possible when you need them. *100% Satisfaction Guaranteed: We back all our batteries with our 45 Day Money Back Guarantee and our SLA batteries include a 1 year warranty. If you have any questions about this product by Made for BatteryMart, contact us by completing and submitting the form below. If you are looking for a specif part number, please include it with your message.